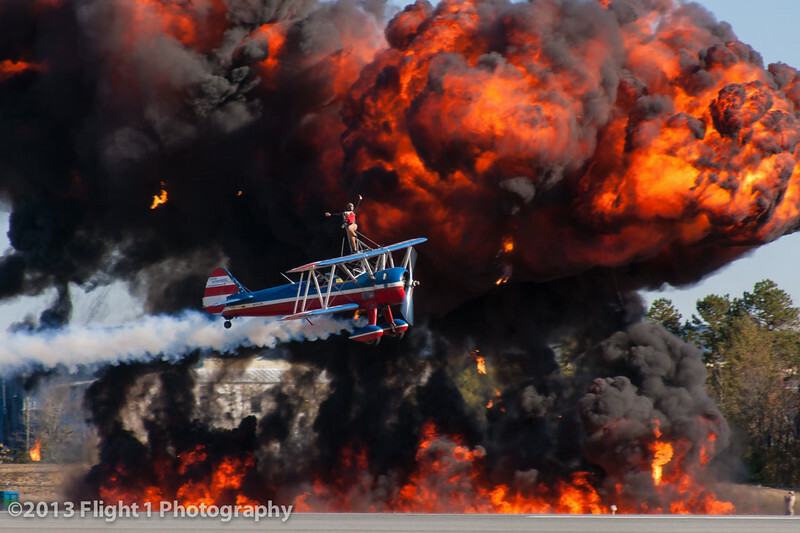 Greg Shelton flies his wing walker, Ashley Battles, in front of a mini-wall of fire created by the Tora Tora Tora Bomb Squad. 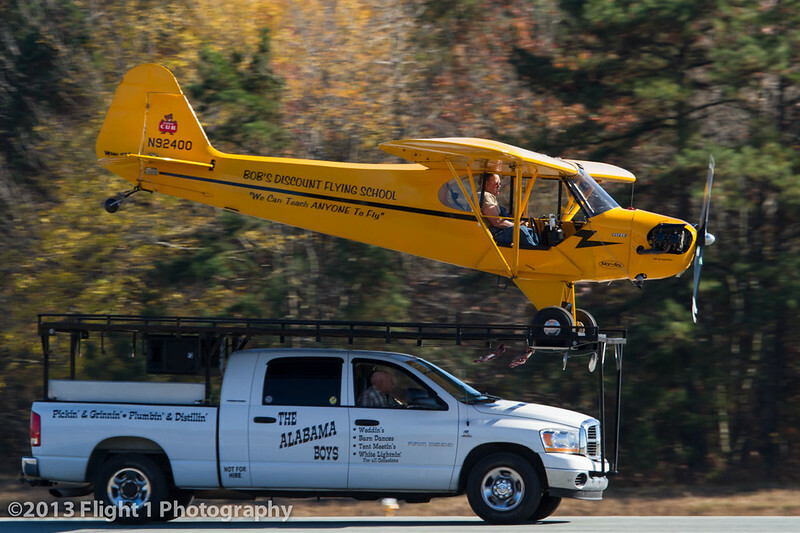 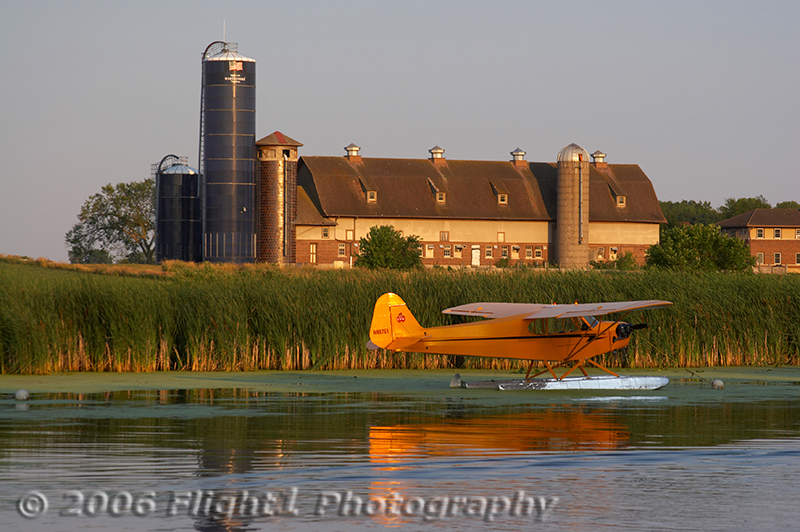 Greg Koontz lands his Piper Cub on top of "The World's Smallest Airport", his pickup truck. 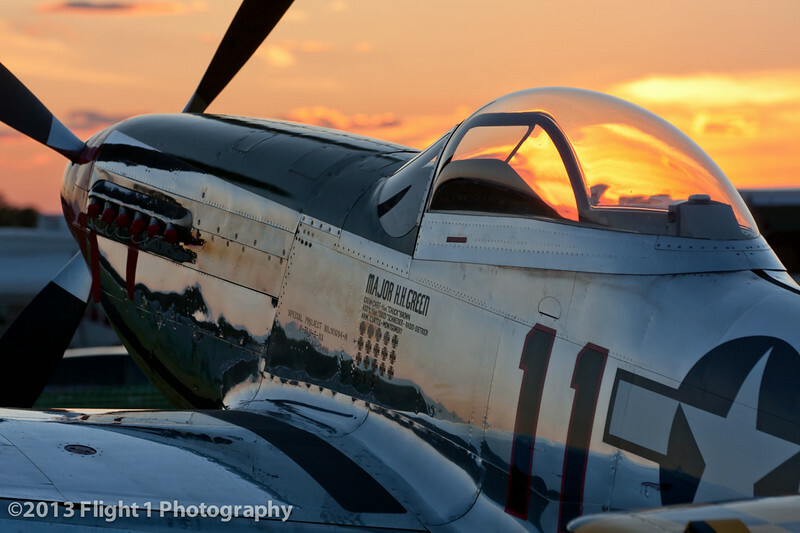 Scott "Scooter" Yoak on the wing of his P-51 Mustang "Quick Silver"
A Mustang basks in the late afternoon sun at EAA AirVenture in Oshkosh, Wisconsin. 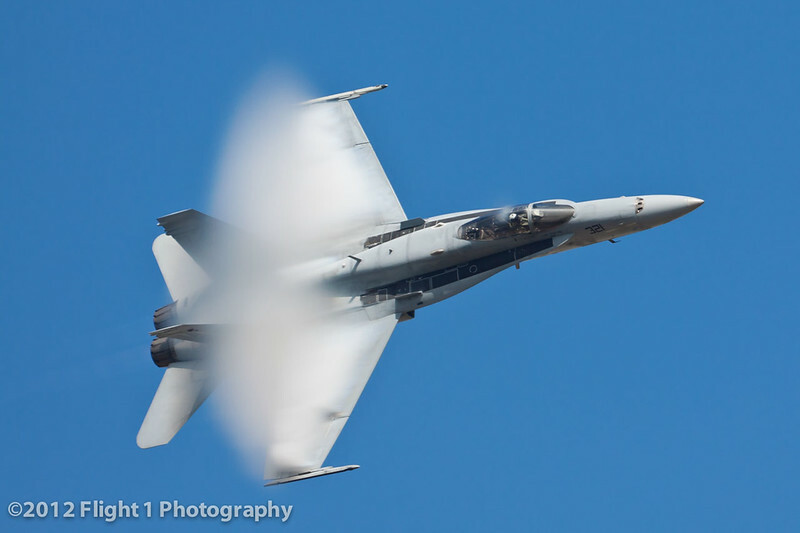 An F/A-18 Hornet high-speed pass. 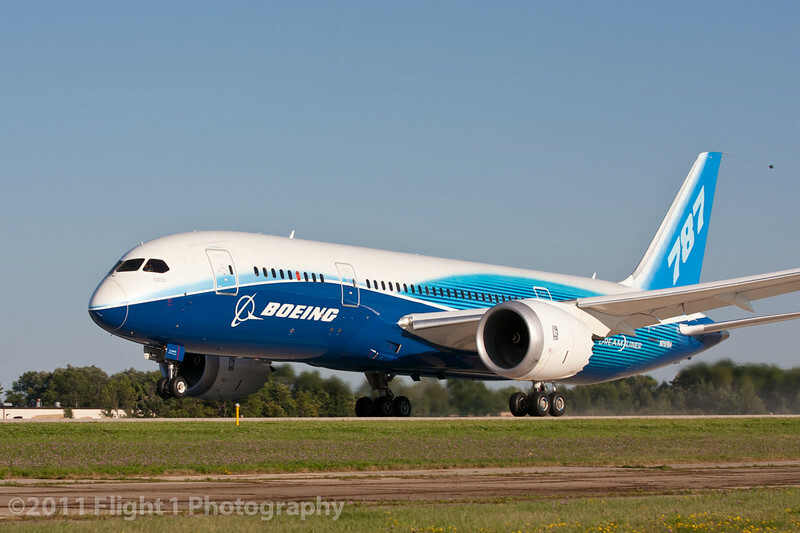 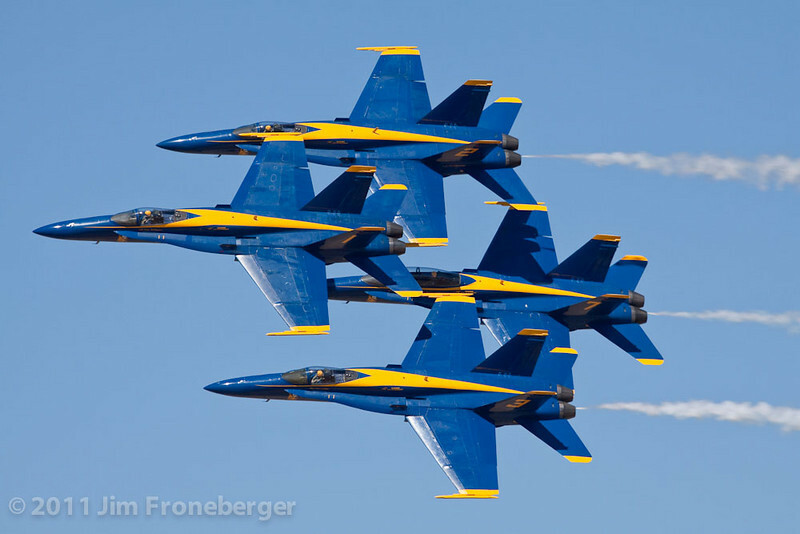 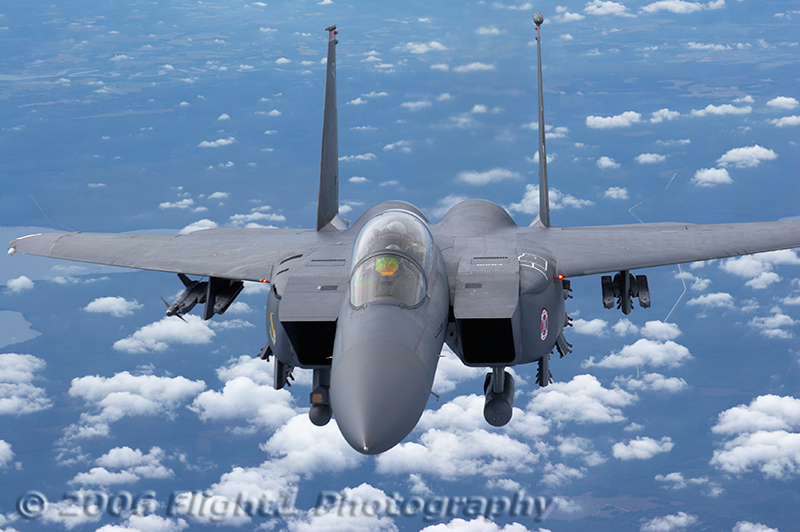 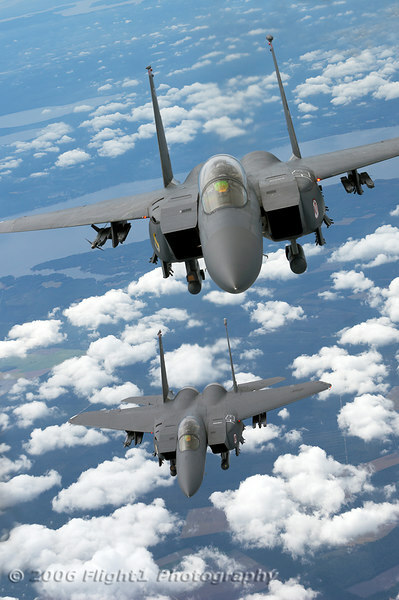 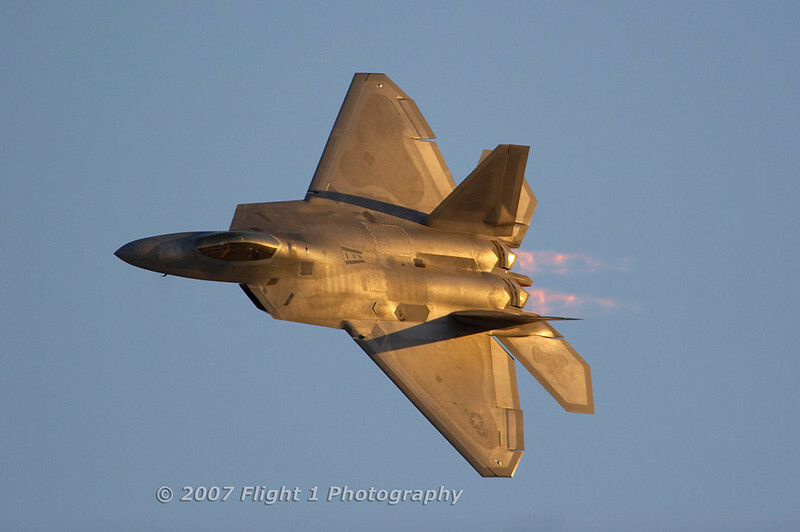 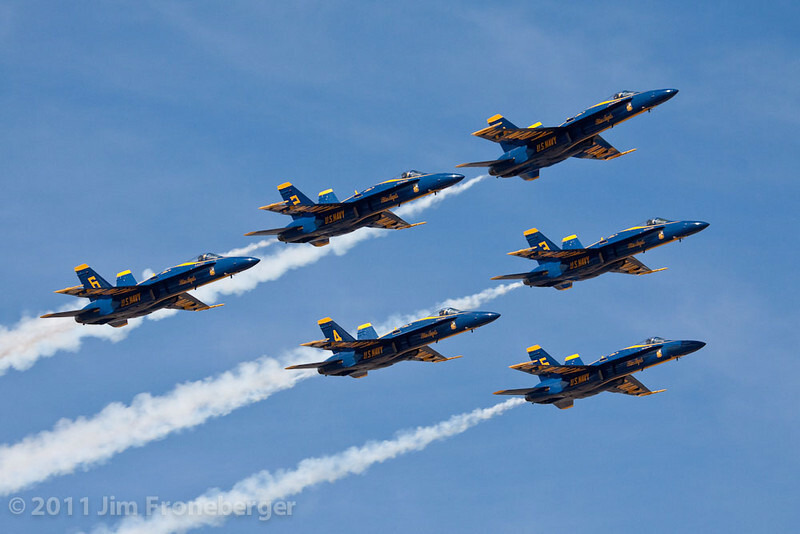 The vapor cone is created in humid air just below the transonic speed range. 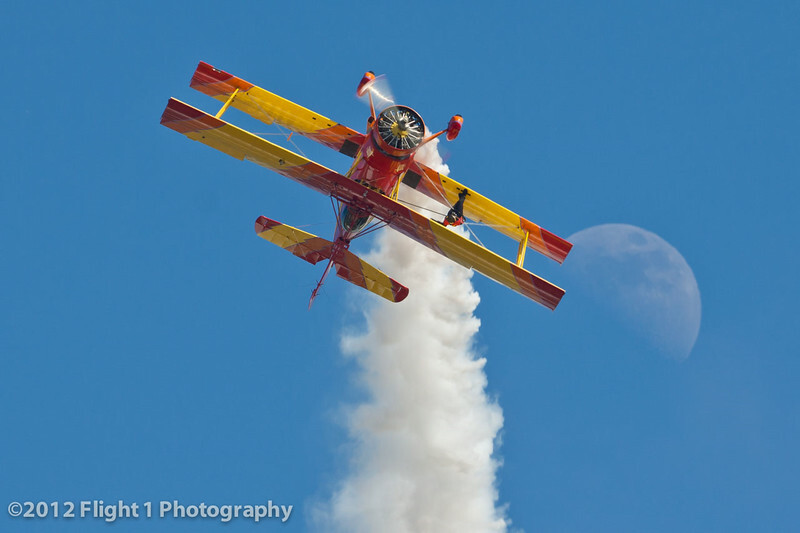 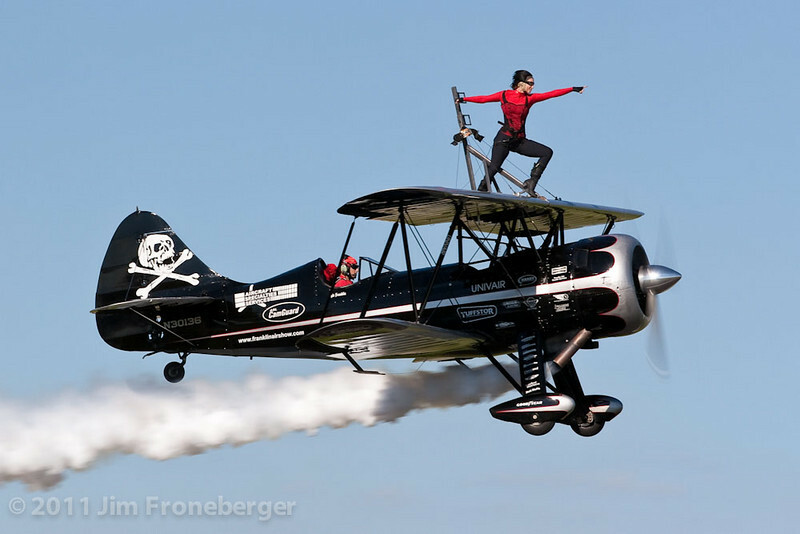 With the Moon as a backdrop, legendary airshow pilot Gene Soucy pulls over the top of a looping maneuver with wing walker Teresa Stokes between the wings of the Showcat. 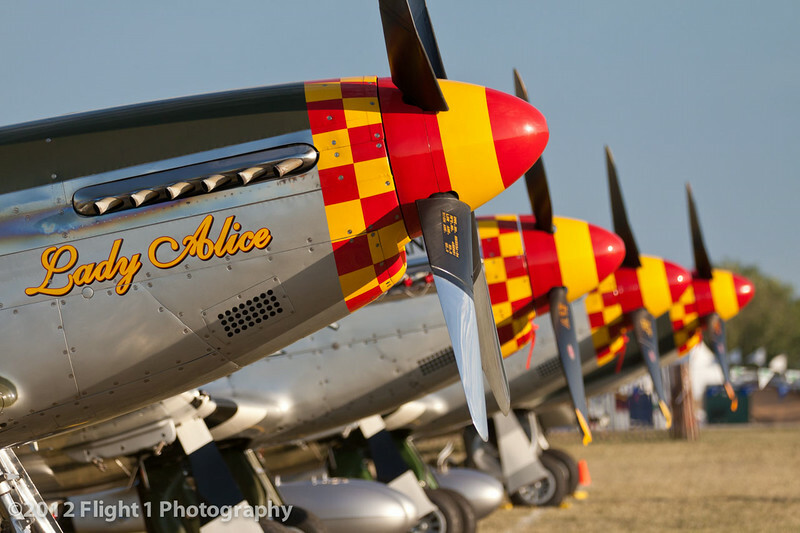 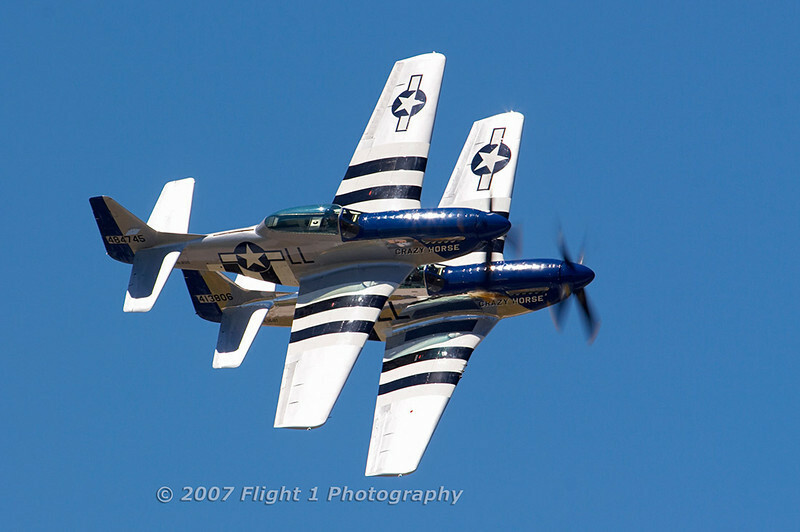 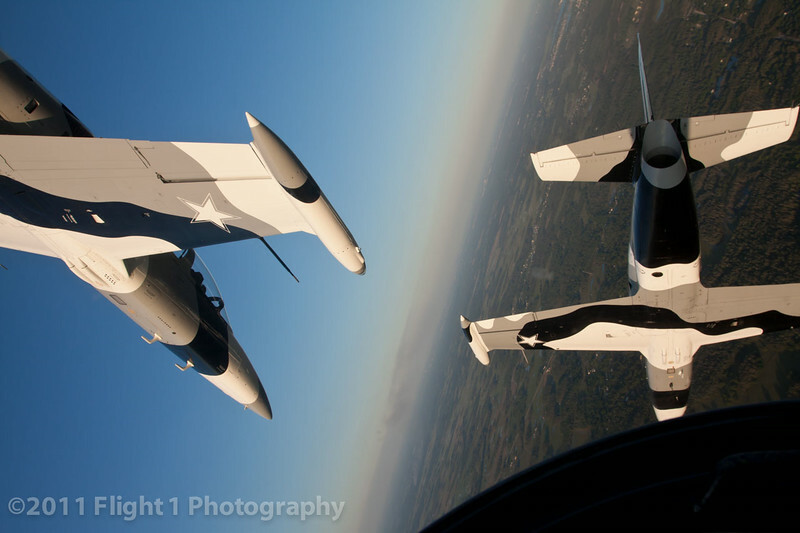 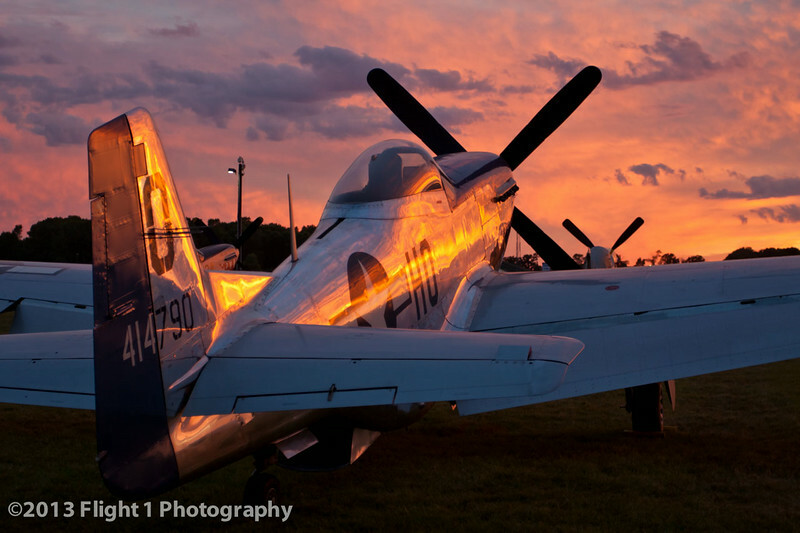 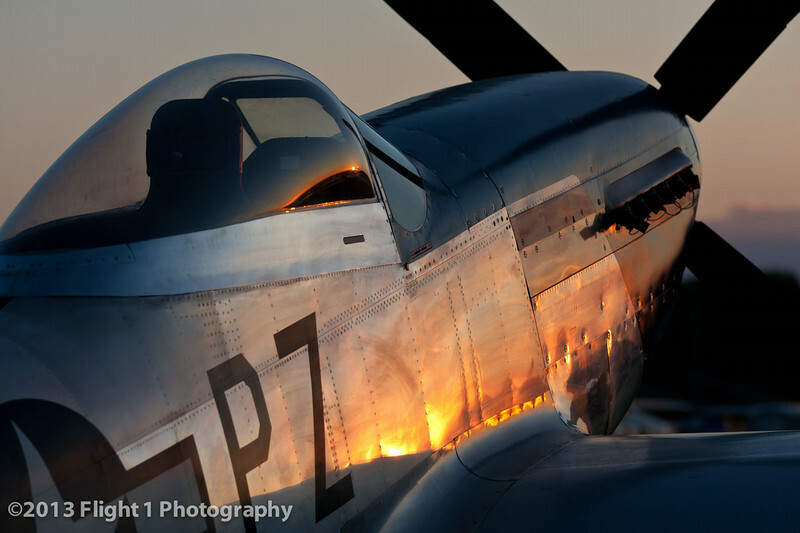 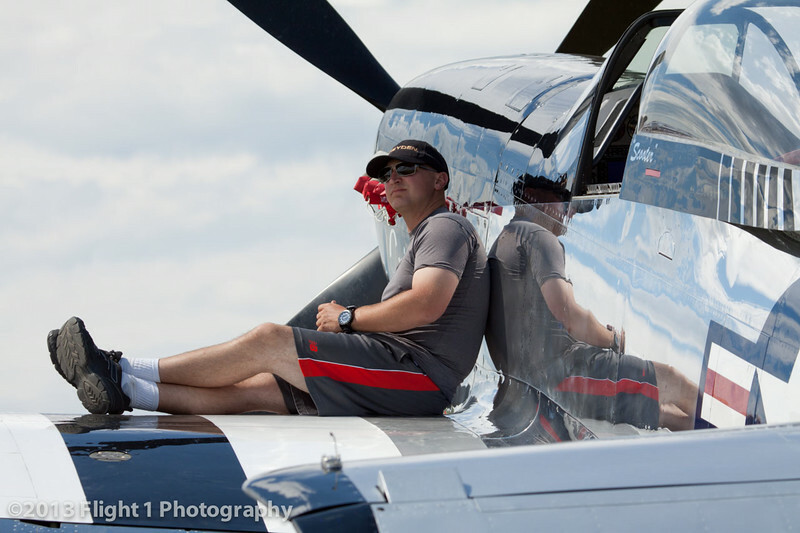 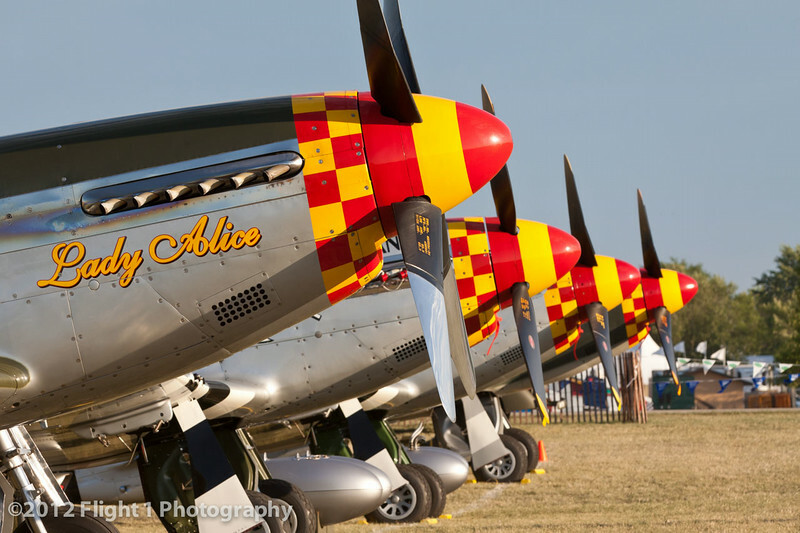 Lady Alice and Mustang Row at EAA AirVenture in Oshkosh, Wisconsin. 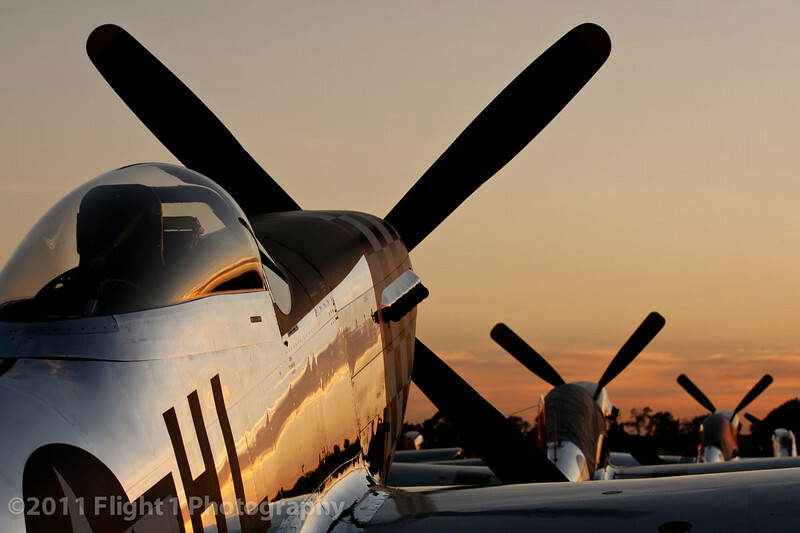 Mustang Row at EAA AirVenture in Oshkosh, Wisconsin. 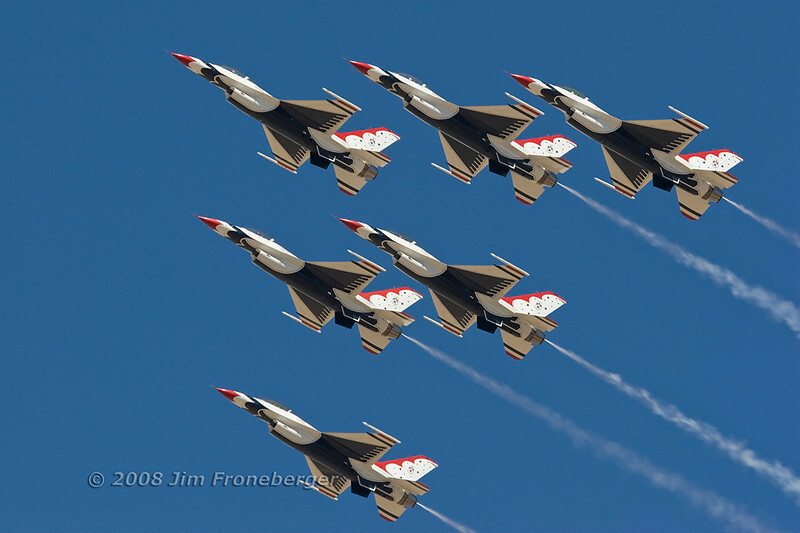 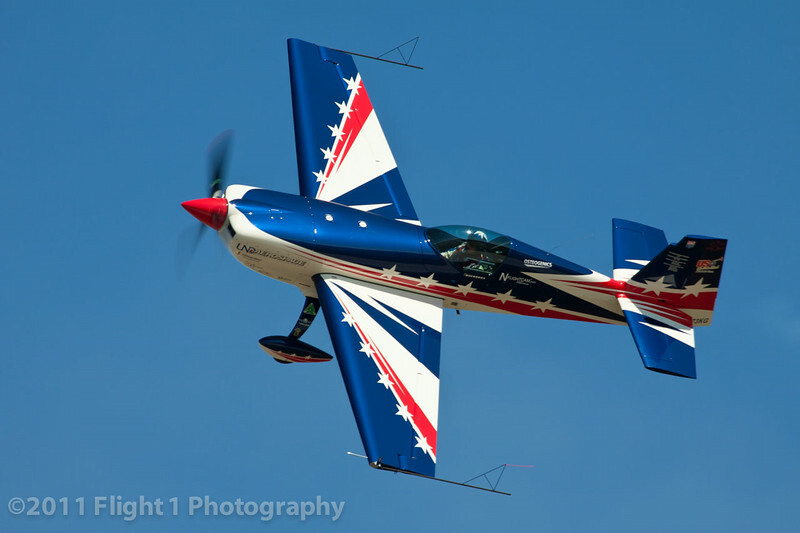 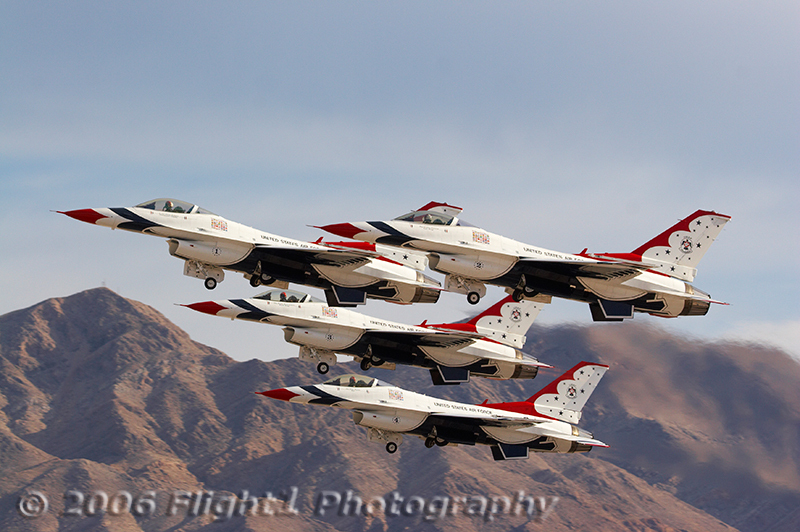 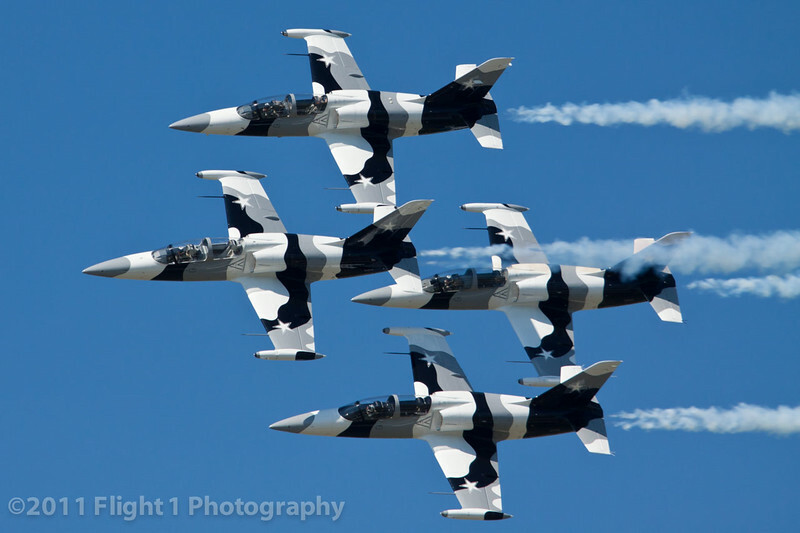 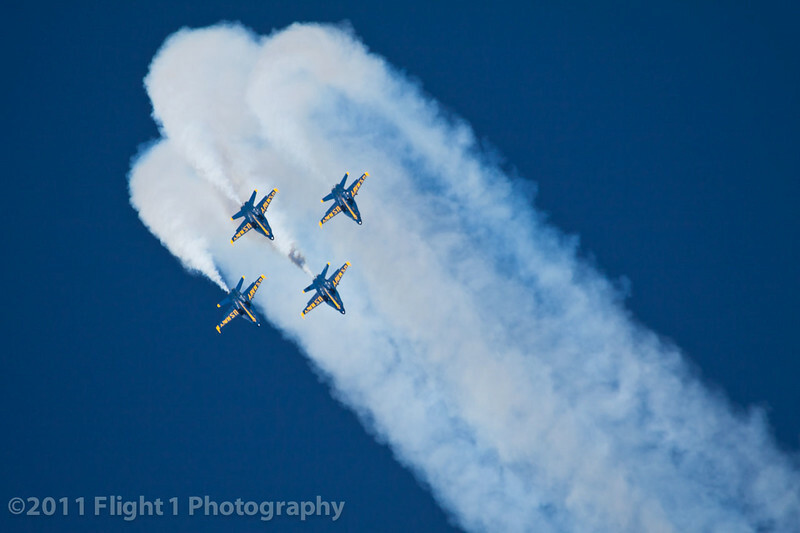 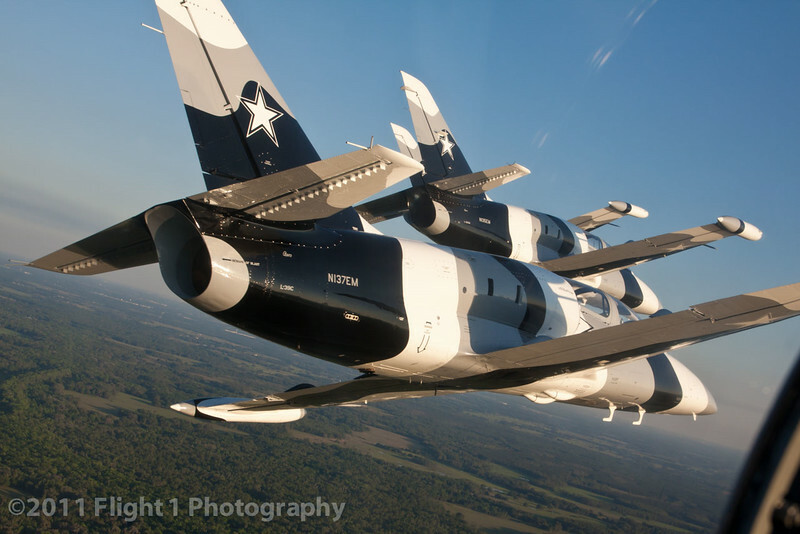 A diamond formation barrel roll with the Black Diamond Jet Team. 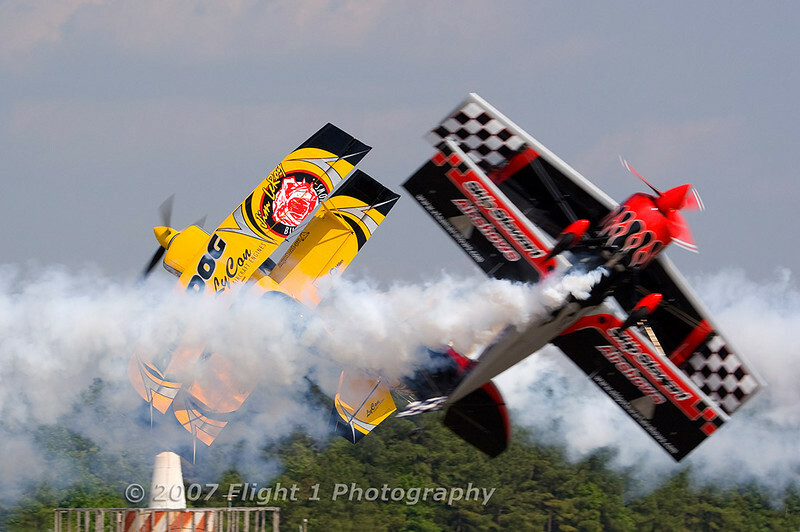 Kyle Franklin with Amanda on the wing. 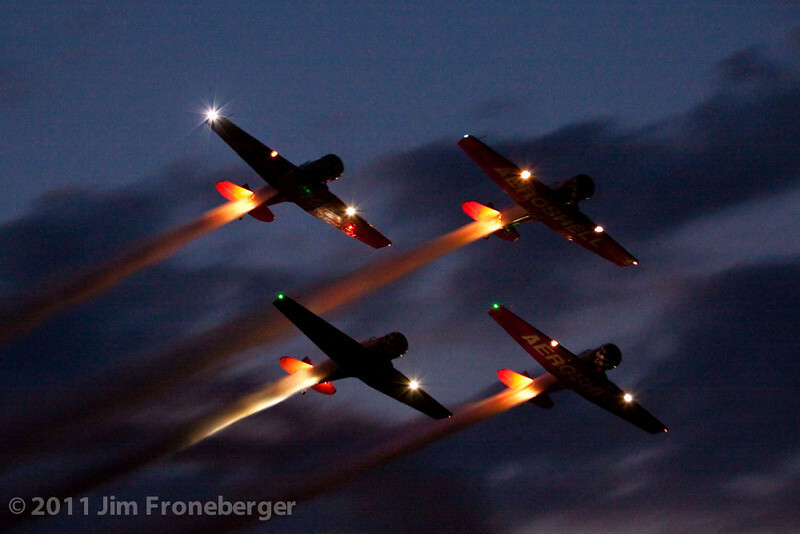 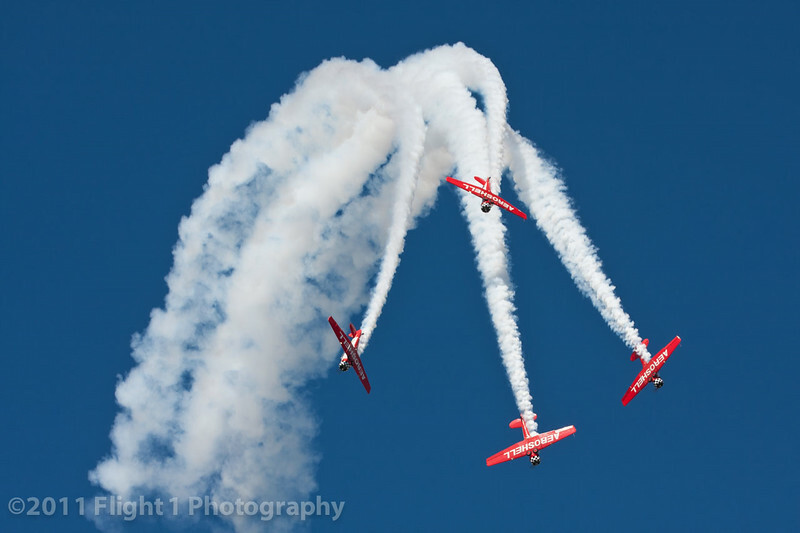 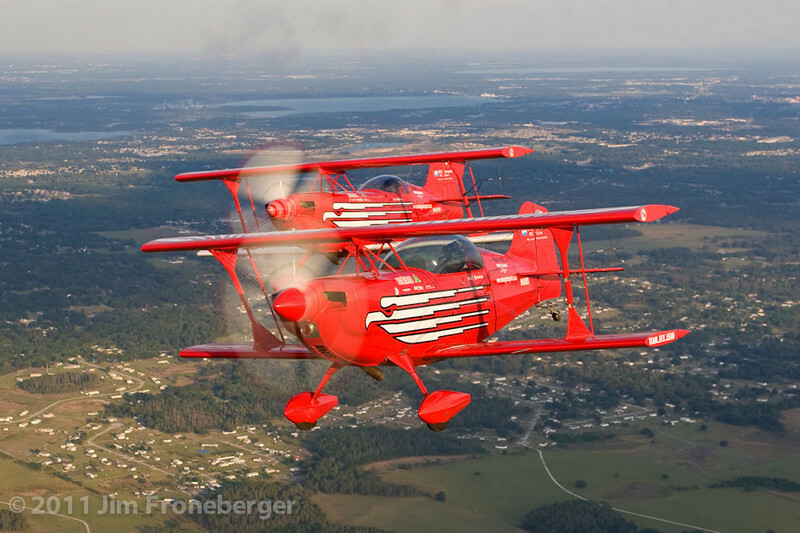 The AeroShell Team night show. 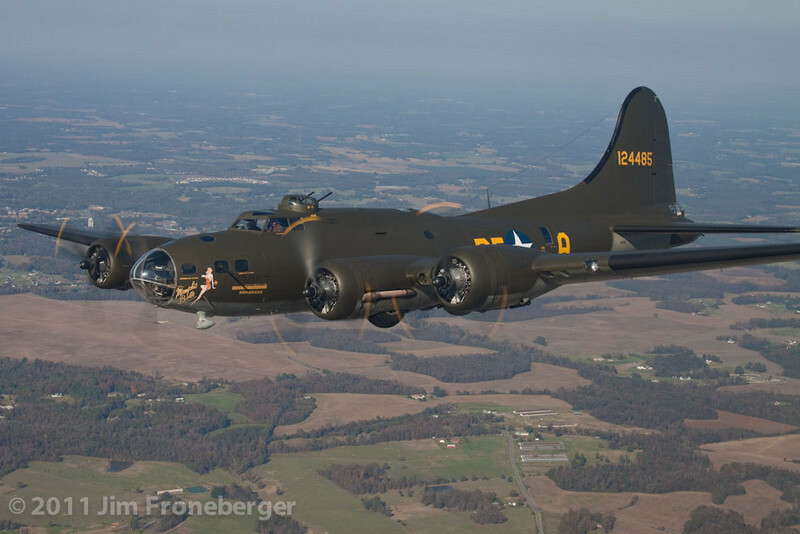 The B-17 Flying Fortress "The Movie Memphis Belle"
Reno racer, the highly modified P-51 Mustang named "Strega." 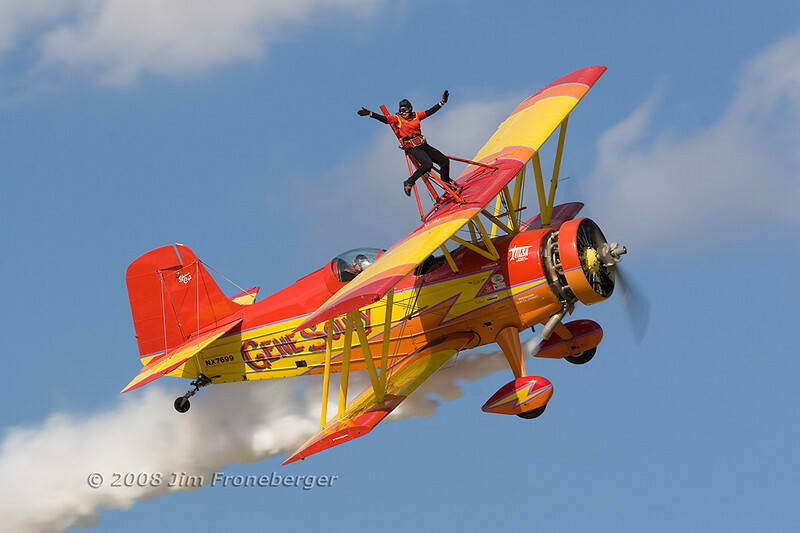 Gene Soucy and Teresa Stokes. 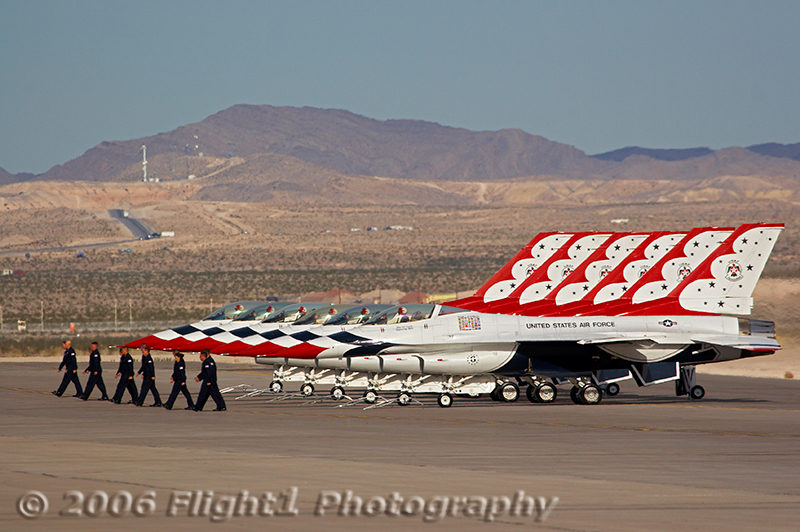 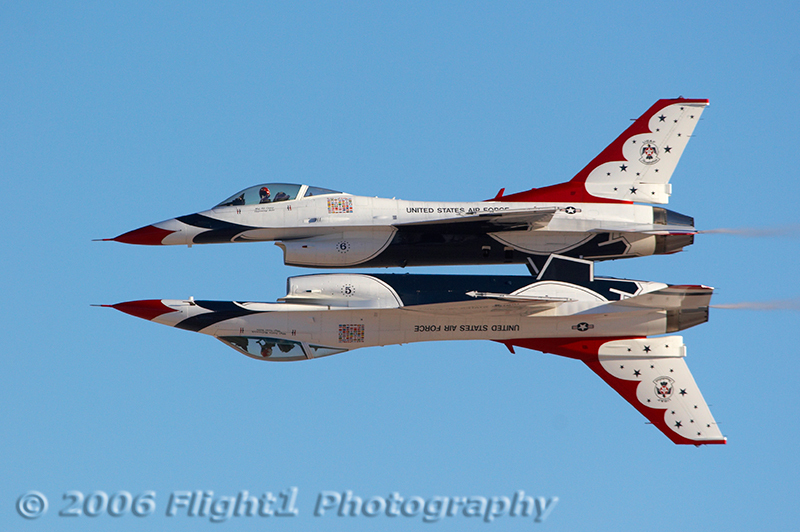 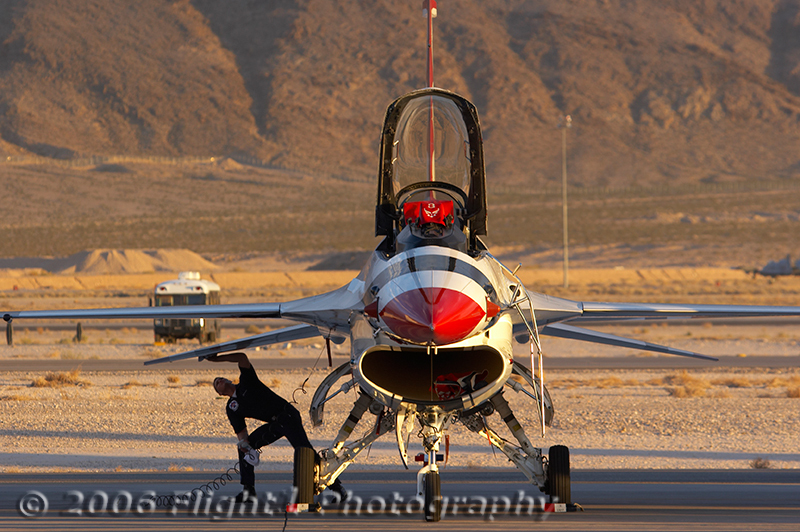 The Thunderbirds taxi in Cath the completion of their show. 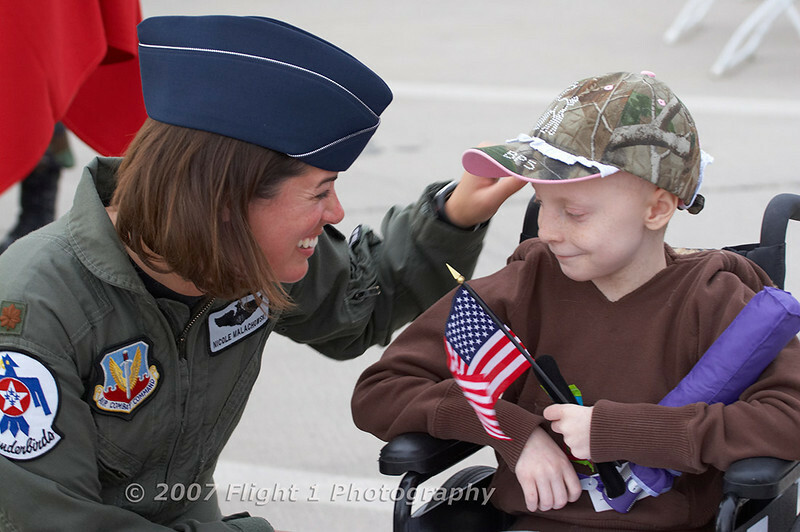 The first female Thunderbird pilot, Maj Nicole Malachowski greets a young fan. 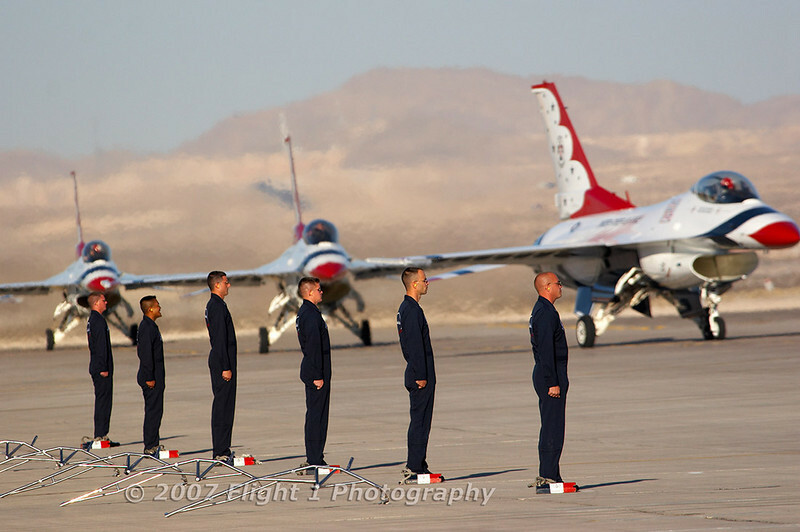 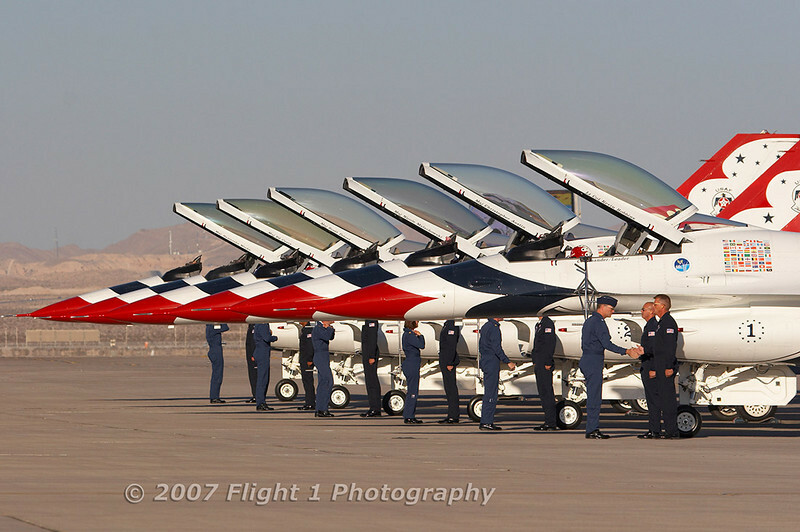 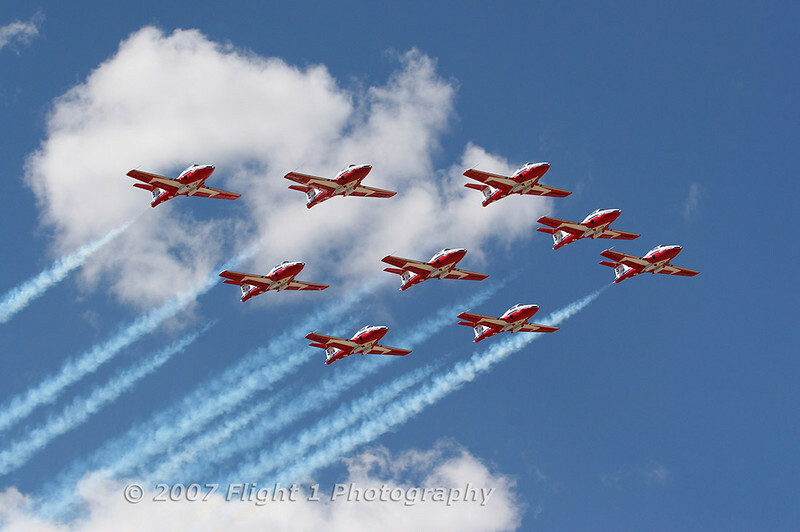 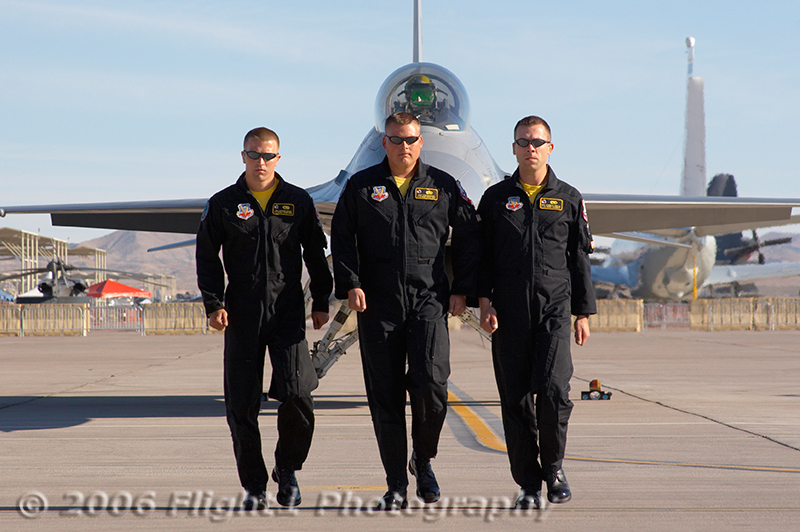 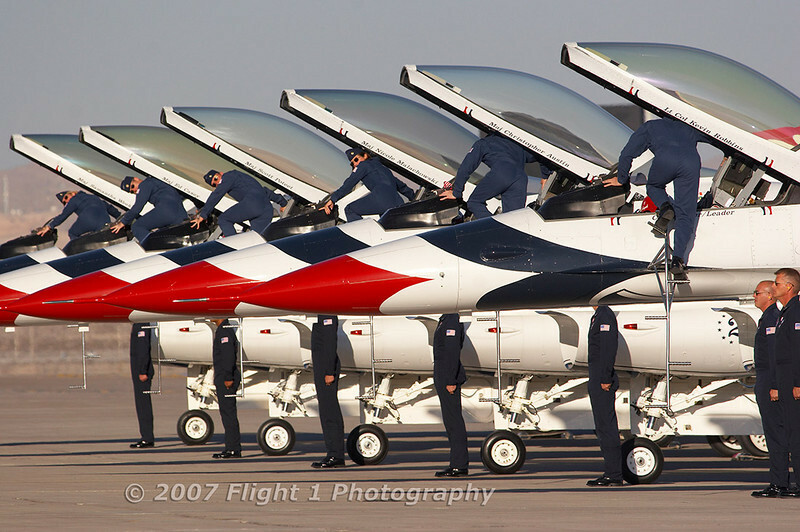 The Canadian Snowbirds jet team. 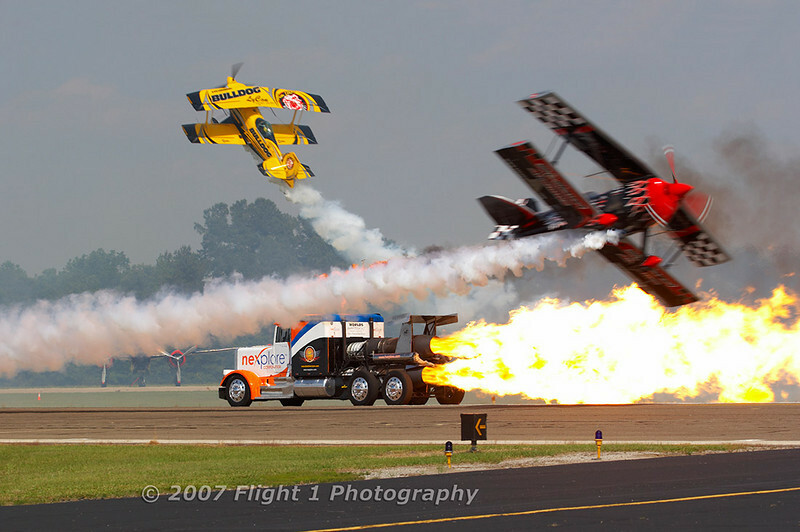 Jim LeRoy, Skip Stewart, and the Shockwave jet truck. 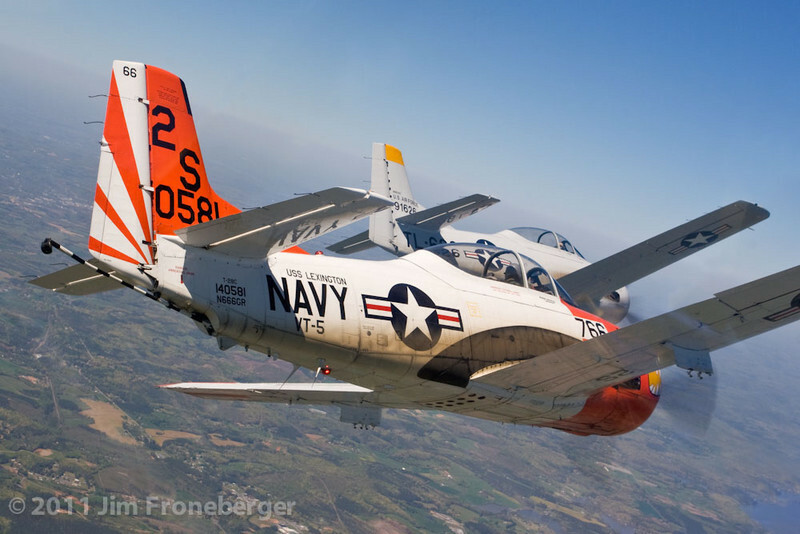 Jim LeRoy in Bulldog and Skip Stewart in Prometheus. 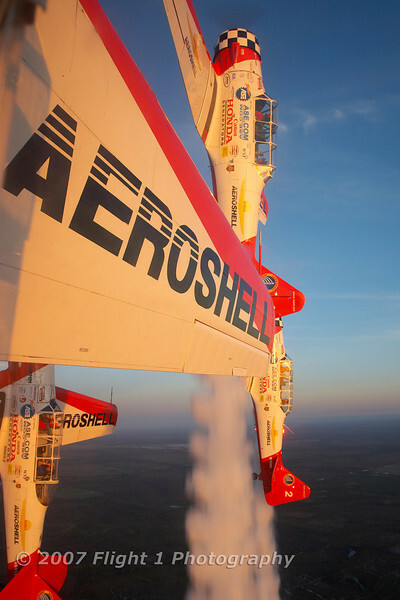 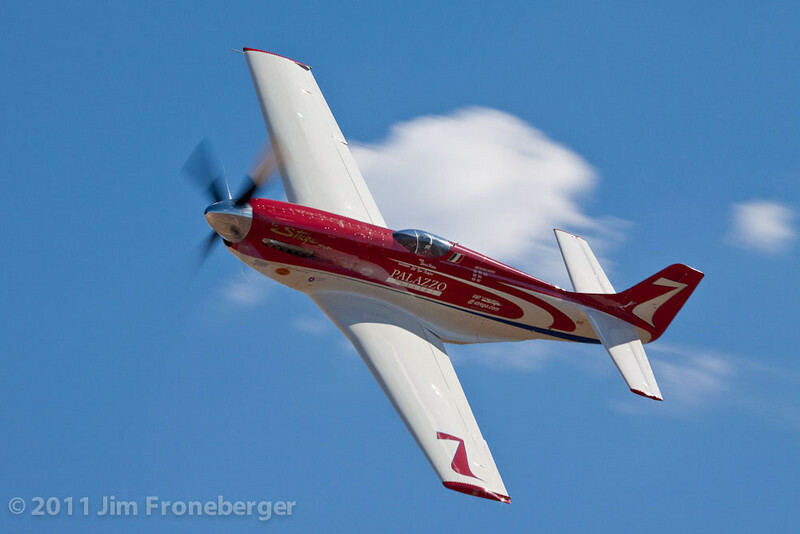 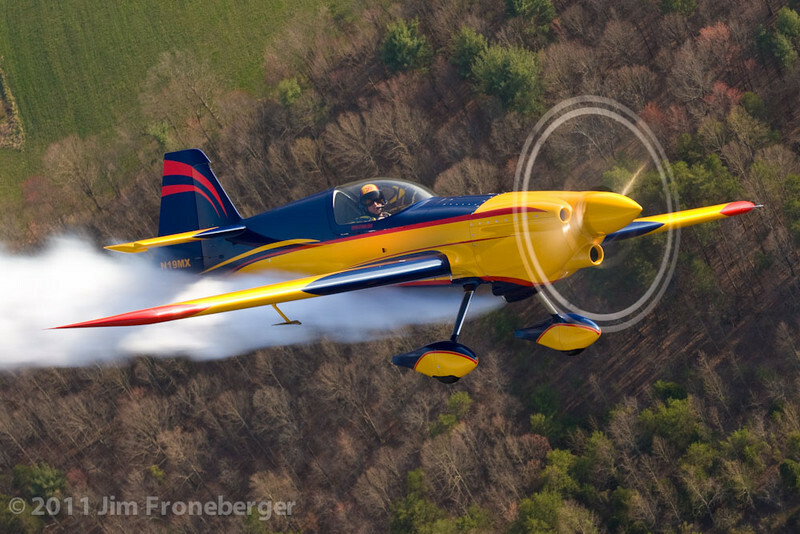 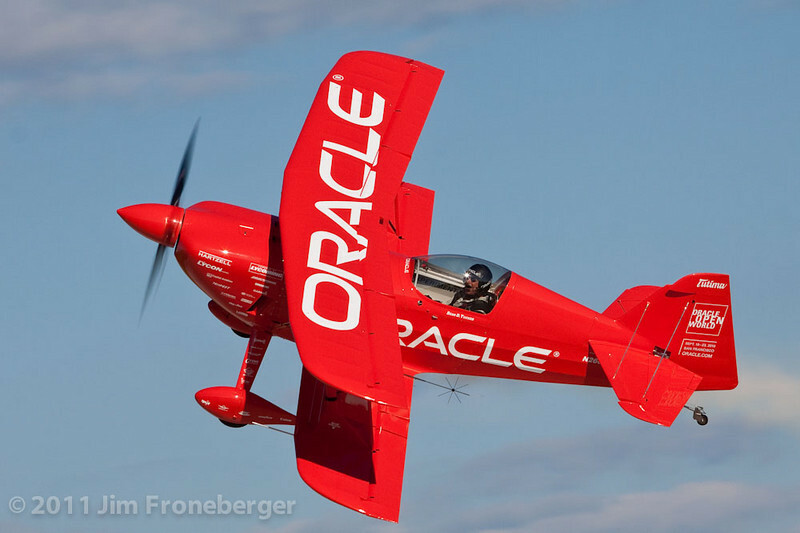 Riding through a loop with the AeroShell Team.